Hrubá Skalá is a tiny little village around a castle, located in the Český Ráj (Bohemian Paradise) area of the Czech Republic. It’s about an hour or so north of Prague and very much in the countryside; farmhouses there change hands for EUR 20,000 or thereabouts. 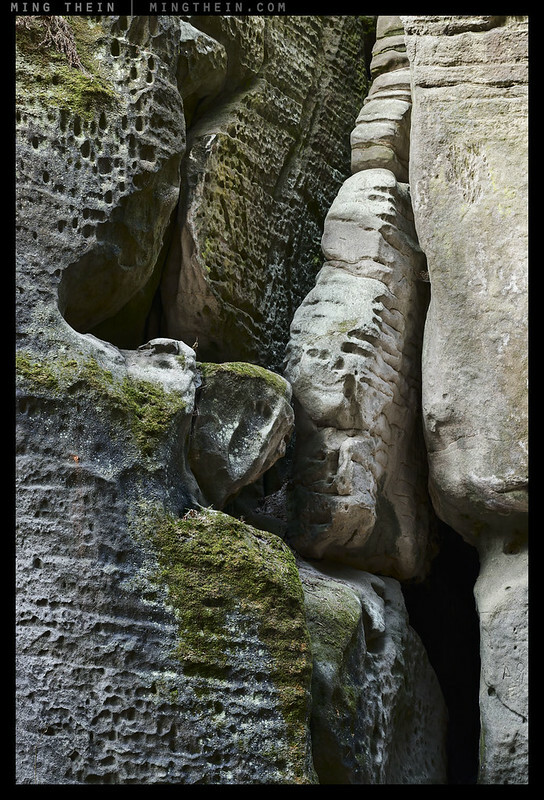 It also contains some of the most interesting rock formations on earth – a mixture of limestone and sandstone towers in fantastic shapes that remained whilst the surrounding soil eroded away. In places they protrude out of the forest forming a cliff line; in others they are so near to each other that canyons which never see any light are formed. Walking between them is quite otherworldly – not just because of their scale, but because you pretty much have the place to yourself. 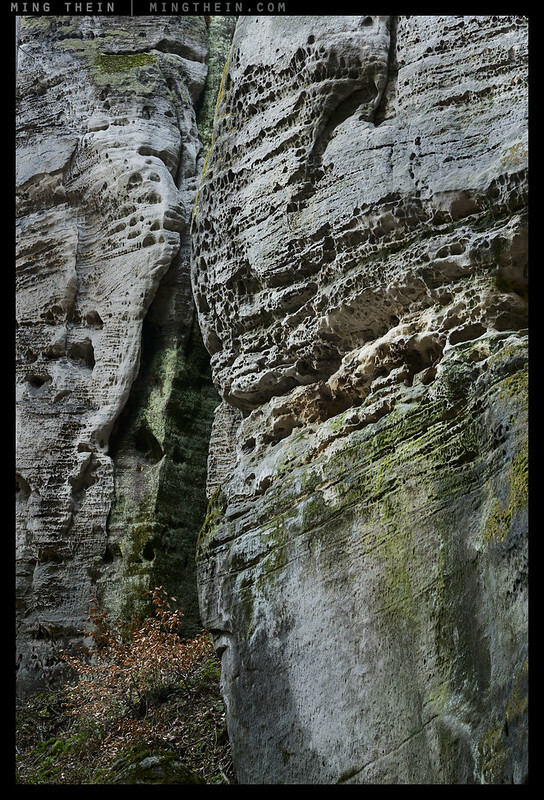 This series was shot with a Nikon D810, 24/3.5 and 45/2.8 PCEs, the Zeiss 85 Otus and Voigtlander 180/4 APO-Lanthar. A tripod is a must, it’s pretty dark in there. 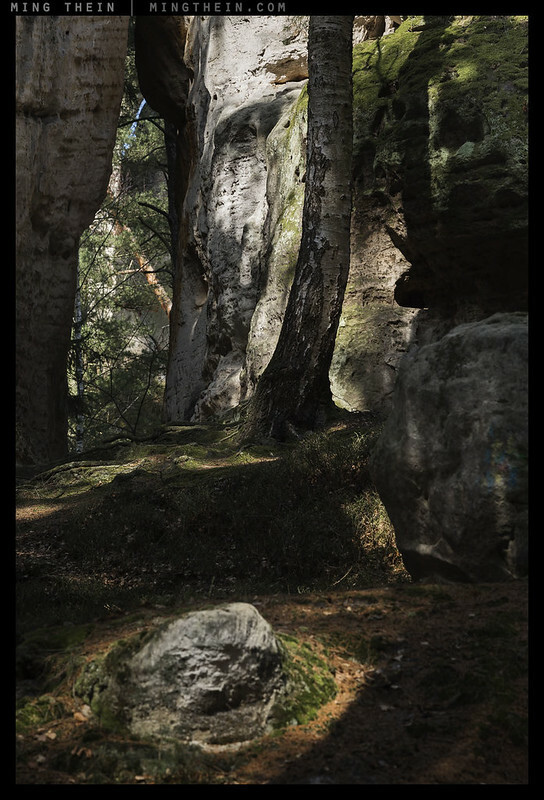 Beautiful shots, Ming Thein, and these remind me very much of a larger version of local terrain. 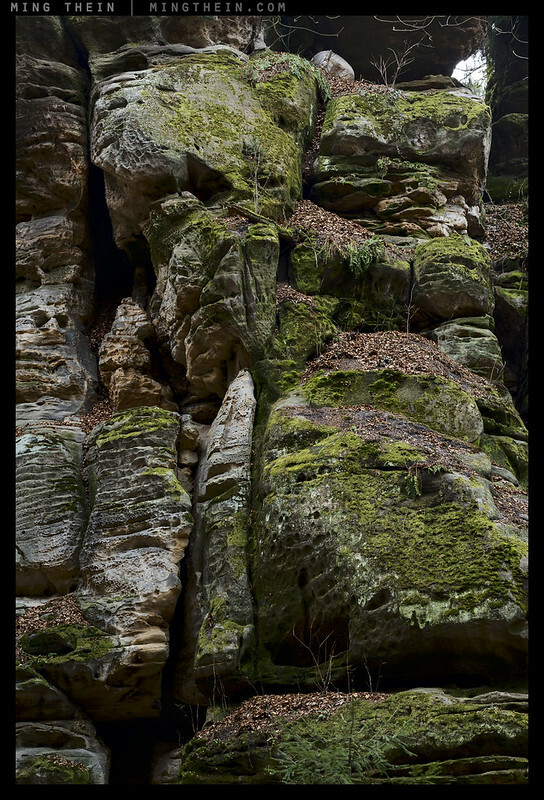 You would love the Ozarks (Southern Missouri / Northern Arkansas). 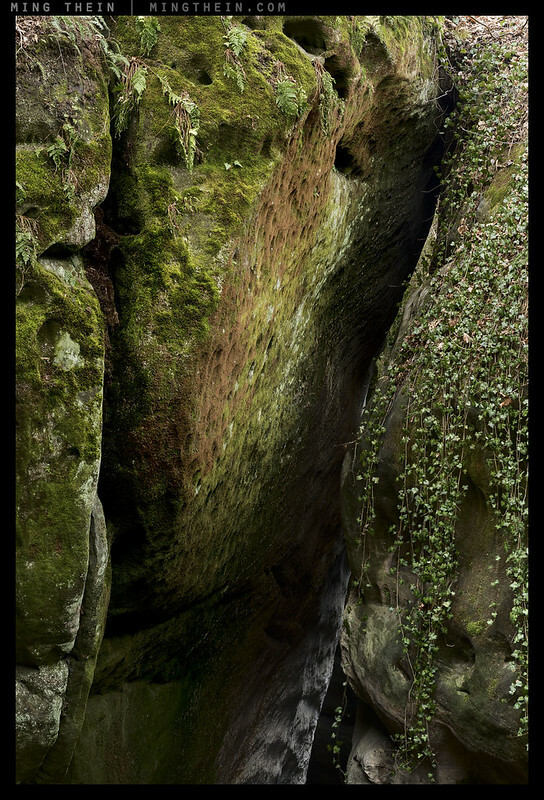 Lots of limestone karst formations, caves, tiny slot canyons. 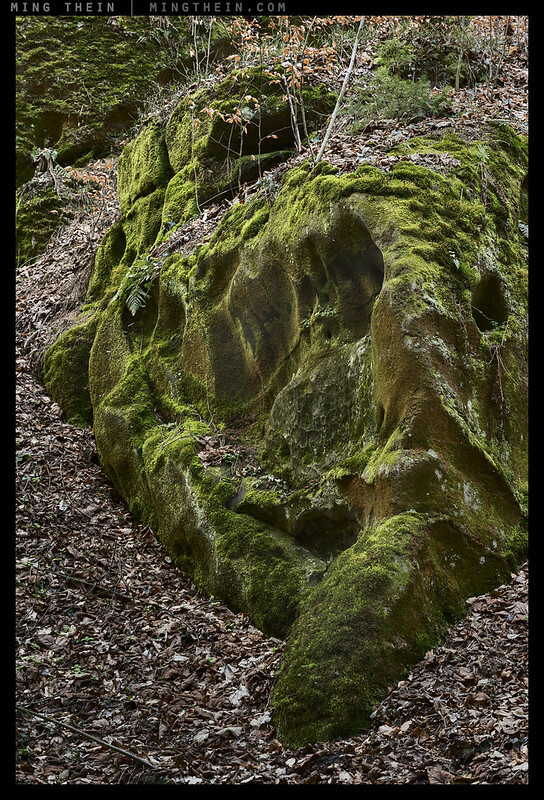 My favorite quick trail, Pickle Springs Trail through Time, has a petite double arch about 4 meters high, a moss-covered stone gulley (crack wide enough to walk through) that is 5 to 10 degrees F cooler than surrounding area, a 3 meters high boulder called the Terrapin (because it looks like a box turtle), various little keyholes and groups of boulders. Thanks – so many beautiful places to go, so little time 🙂 Thanks for the tip! First time I’ve seen a series of landscapes all in portrait format. Nice subject lighting in XIII – was that the actual lighting on the figure something you had to wait for? Thanks. 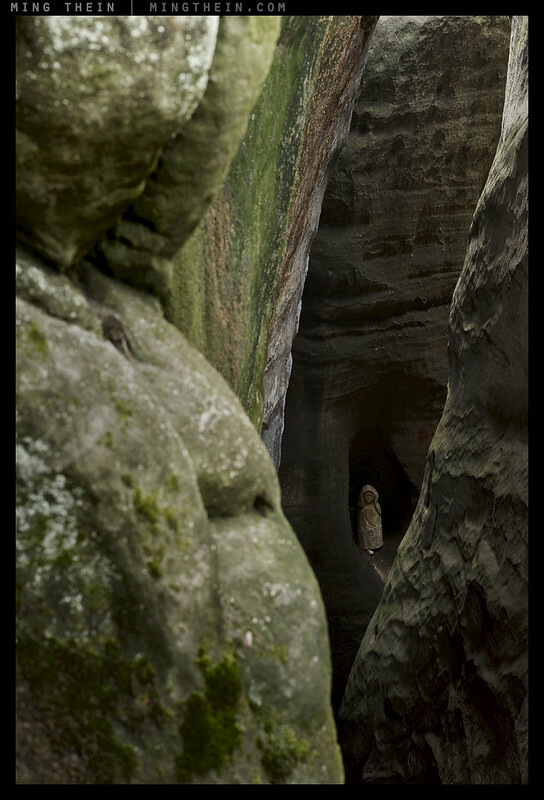 I suspect the placement of the figure might have something to do with the way light naturally directs itself through the canyon. I’ve never taken a photographic course/workshop in my life, (and I’m 61), but I think one of yours is going to be my next birthday present to myself. I like your way of looking at things.Your photos are unspectacular (compared to other landscape pictures) but so perfectly composed. i’m liking IX. nice tones and definition for sure. have you ever considered a paywall system by which people could view high res online? not FULL res (which would not be really viewable even on a giant 4k monitor) but higher than what’s on flickr a way for people to get a better idea of the detail without buying a print. i can only imagine there would be an audience for such a thing….just a thought. Nope, and whatever I could charge isn’t worth the lost revenue from one decent license or one print run, so it isn’t going to happen, sorry. Too many unscrupulous people out there – if they can already steal the tiny 1000px jpegs, then this would be like candy on a plate. it’s unfortunate. the number of ultra high res images produced compared to high res prints sold must be exponential (i think that applies to even the most financially successful shooters). basically meaning that only a very tiny number of people ever get to see what any image “really” looks like. exactly. it is a frustration. all the 100% crops to demonstrate technical perfection don’t mean a thing compared to simply seeing the whole image as intended. 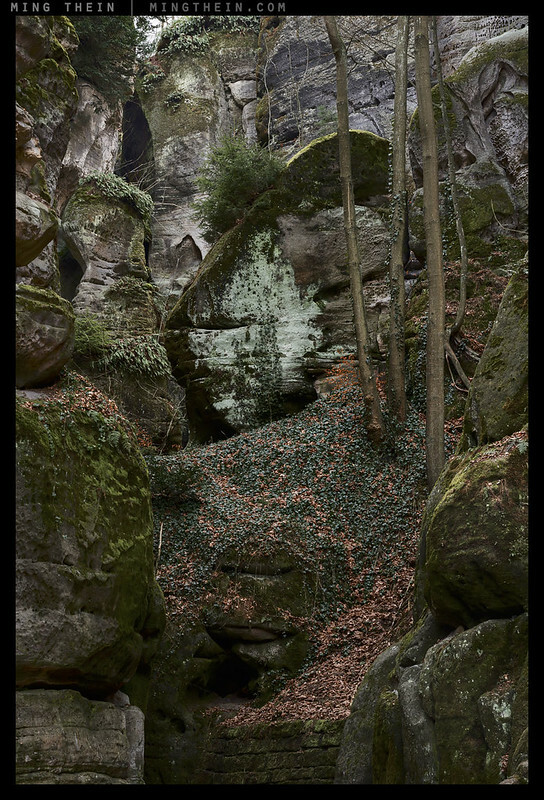 Not abstracts, but exquisite intimate landscapes. Super. Crystal clear and marvellous colouring. Are they HDR? Thanks. No, I don’t use HDR. Optimal exposure on a tripod gives you more than enough DR with the D810 at base ISO. There’s a personal preference to the flow, certainly, but with something this abstract, it’s tricky and obviously not as critical as with say a narrative storyline. Good point. I couldn’t identify an obvious progression in there – but that is certainly not a weakness. It is a great series of images! 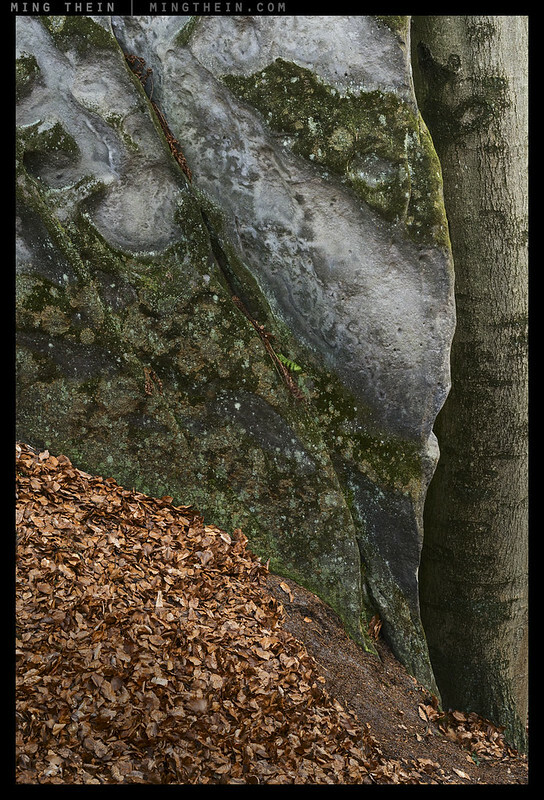 The light in ‘III’ is amazing – was there any temptation to get a wider DOF to accommodate the foreground (illuminated rock)? Not really, I thought a little ambiguity wasn’t a bad thing and so left DOF as-is. I did have the PCEs with me also. Hello, nice essay and photos. 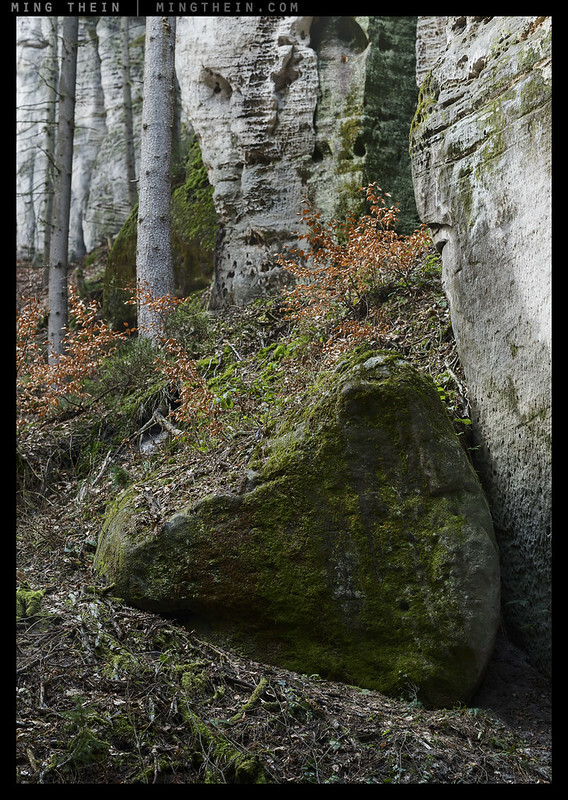 Have you visited Adrspach-Teplice rocks? 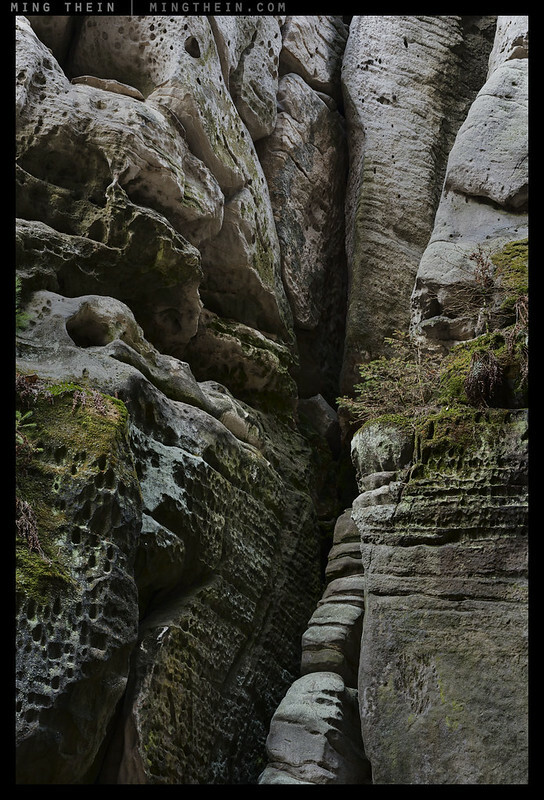 Also very popular and beautiful rock formation in our region…. On mine list too. Both places :). I can’t remember if I was there with my parent 25 years ago :). Four hours drive from my home. Another super collection of photographs!!!! 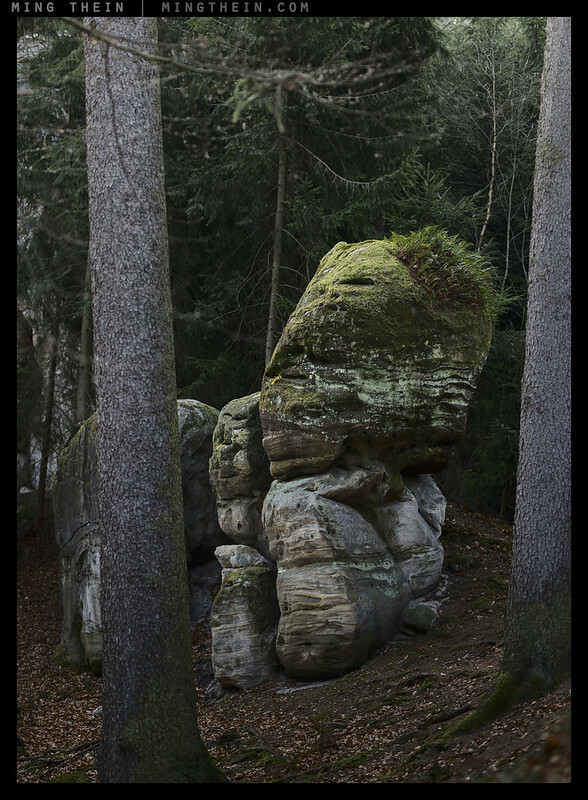 Things of nature rarely fail to disappoint when they are seen as appropriate for portraiture. Ageless beauties! Thank you for introducing us to another magical place. One of my favourite places on earth. Sometimes you get lucky with the light, too. 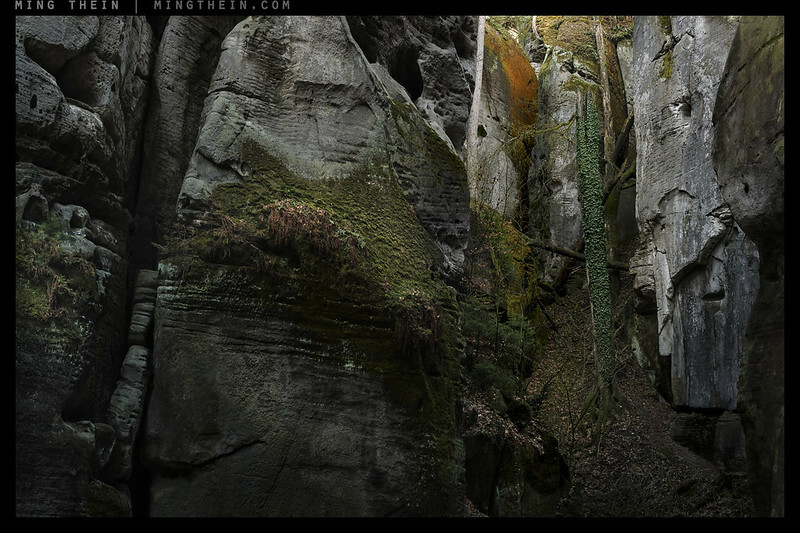 Some interesting images on that link, but he could really go easy with the vignette too! True about the vignettes, especially B&W images. I hope I won’t start seeing them everywhere, because I’ve enjoyed the pictures immensely. Since I’ve been following him (year/half year back) he’s put out a steady stream of great quality photos. It’s pretty much yours and his (photography) blog I follow closely. The only other photographer I follow at the moment is this fellow http://www.laroquephoto.com/blog/ , but that’s mostly to get another perspective on photography. I haven’t yet figured out whether I like the style or not, so I keep on looking. Daniel thank you for sharing that link. 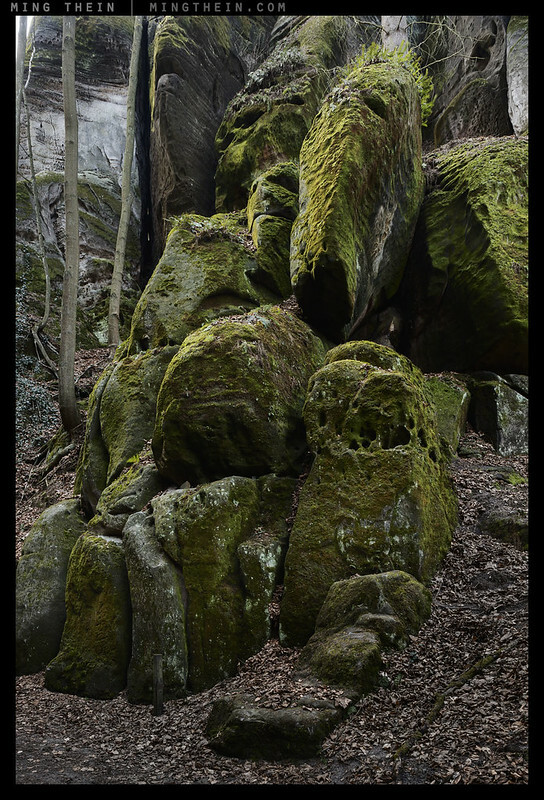 I was scanning down through the vast amount of superb rock and mountain images to find he uses the Sigma DP2 Merrill. Of which im a fan and user. I must say I began lusting over the camera myself, the detail is just fantastic. Sadly I live in a country with a long, dark winter so the ISO and battery performance scares me, plus I have heard few good things about the workflow – though perhaps it acts as film and forces you to take only pictures worth the trouble? Gulp, Ming… you are bringing it directly served on a plate. This is the most fantastic picturesque landscape I’ve ever visited. Once more I notice how dull light is excellent making painterly ore sculpture’esque images. But when the sun hit the beautiful place the options are uncountable. This series means a lot to me. Thank you for showing your work from there. I felt like we had to work for the shots though, Gerner – it was magic but the magic was very much hidden. It was a pleasure to be shooting in it with you and Ian. Wonderful story and great photos Ming! Sounds like a great place to go. Thanks – it was pretty magical!